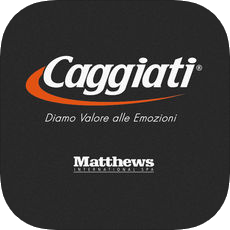 Caggiati offer design urns, developed for who don’t want to preserve ashes in a cemetery. 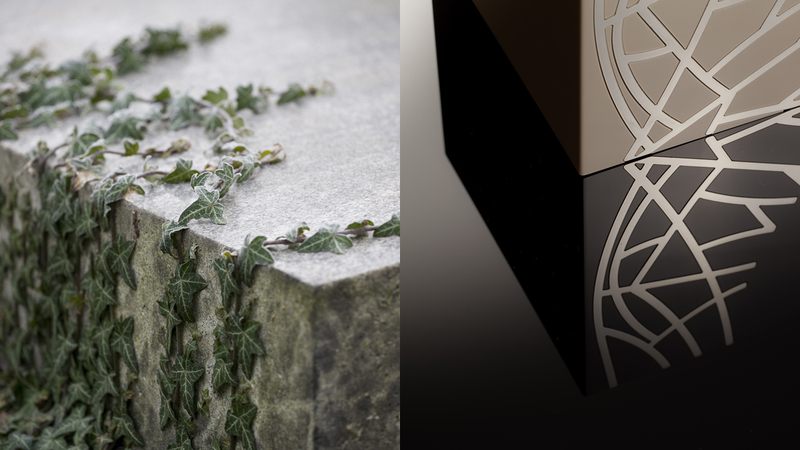 The phytomorphic shape is the decorative graphic theme of the urn, like an inflorescence growing on the same shape, giving a naturalistic air to the object which, in itself, has decidedly abstract contours. The metal design is applied to the urn with an engraving technique. 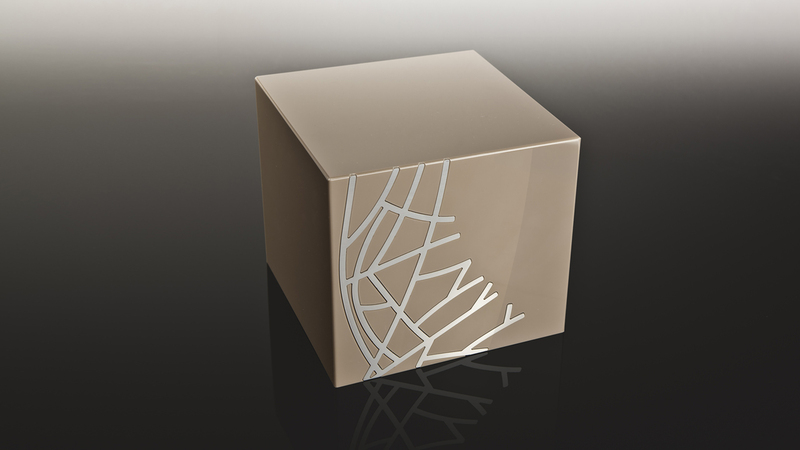 It is made in stainless steel, subsequently cold-set in the niche created on the front of the cube. The body of the urn is made in PMMA of a warm grey colour.